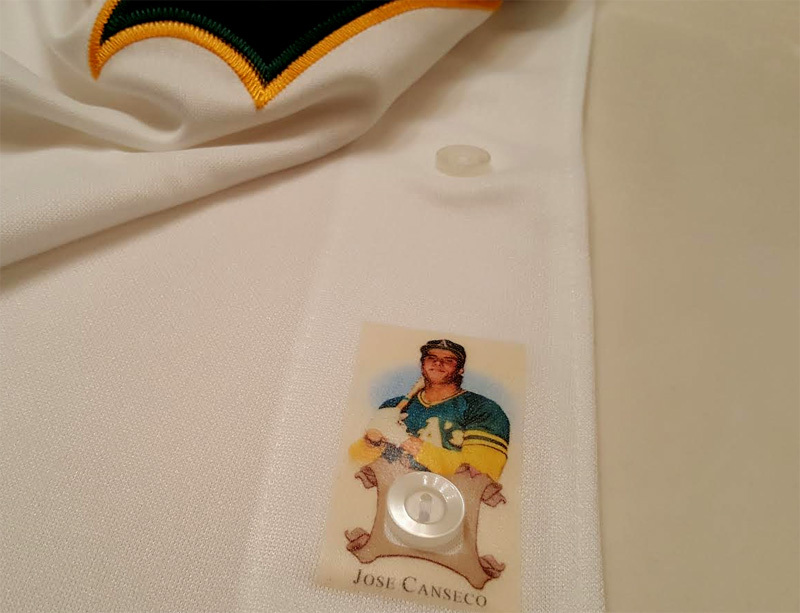 Over the past several months, I’ve gotten more comfortable with the idea of creating cards for my collection using the premium pieces of the jerseys I had Canseco wear. 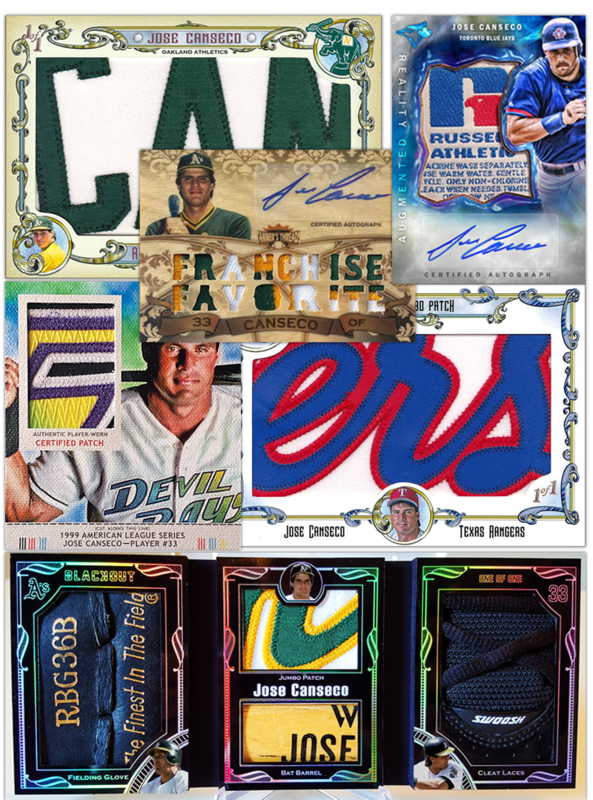 Jumbo patches, name plates, bat barrels, cleats, laundry tags, etc. 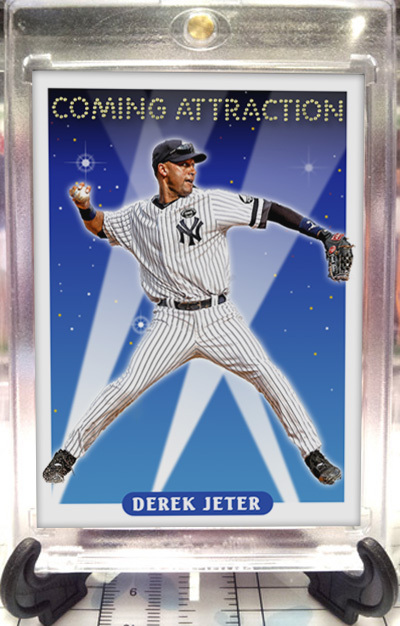 and more have been used to create cards with Refractor finishes, gold trim, cabinet cards, wood cards and canvas cards. Shown below are a few of my favorite creations from last October until now. While I did have Jose wear a number of jerseys, let’s be honest. 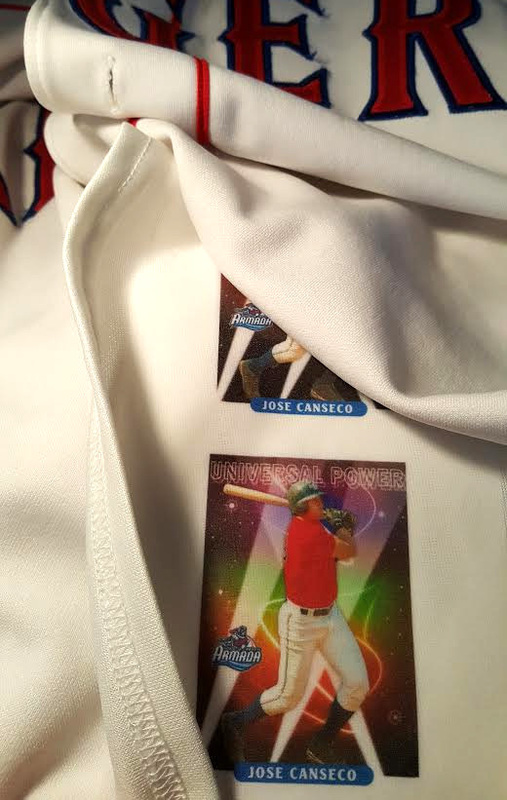 Patch material is at a premium, and there is much more plain jersey material to play with than not. This isn’t 2003 anymore. We don’t typically get excited over a plain swatch. Sooooo….I have had a thought for quite a while now, and have actually executed said thought. More on that later in the article, though. For now, I wanted to show a few other fun things I have done. 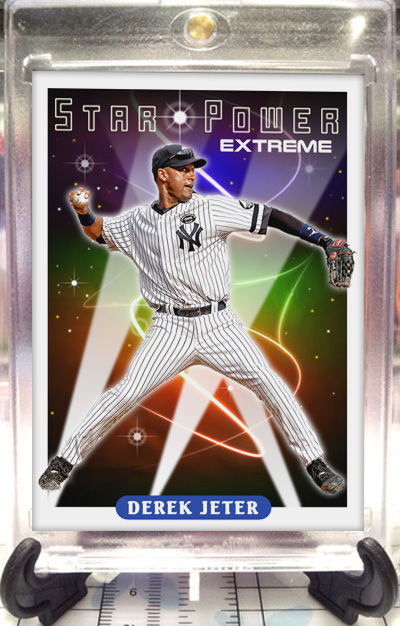 EVERYONE knows and loves the iconic 1993 Topps Derek Jeter card. 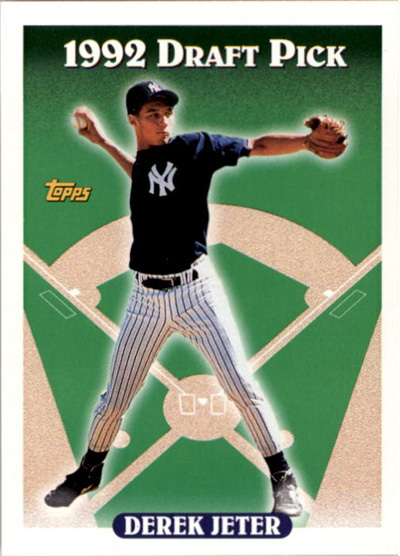 A hopeful teenager who didn’t yet know that he was about to become the face of not only the Yankees franchise, but of baseball. 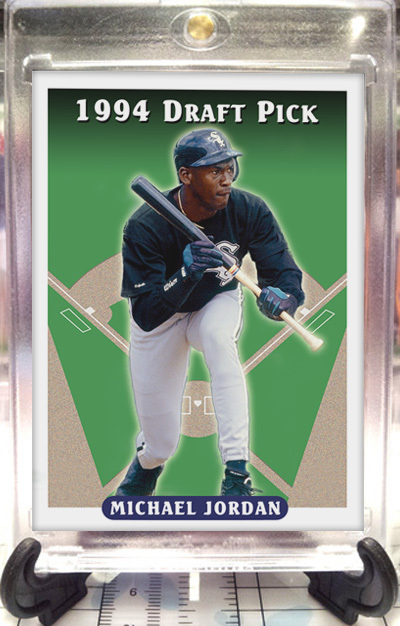 If I ever hit this card while rowing through countless 1993 Topps, I would feel like I hit the jackpot. 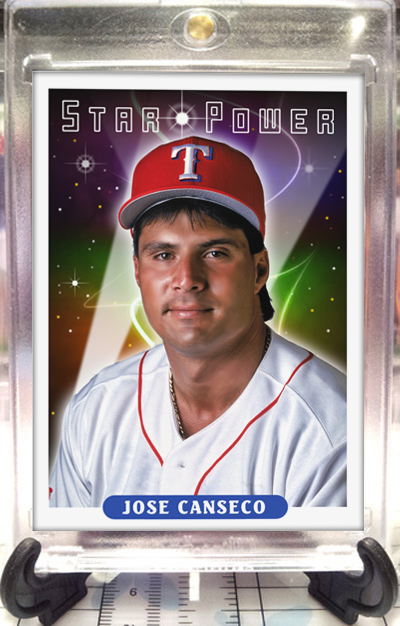 In doing all of these, I went off the beaten path a bit, and created my own card design, called Star Power. 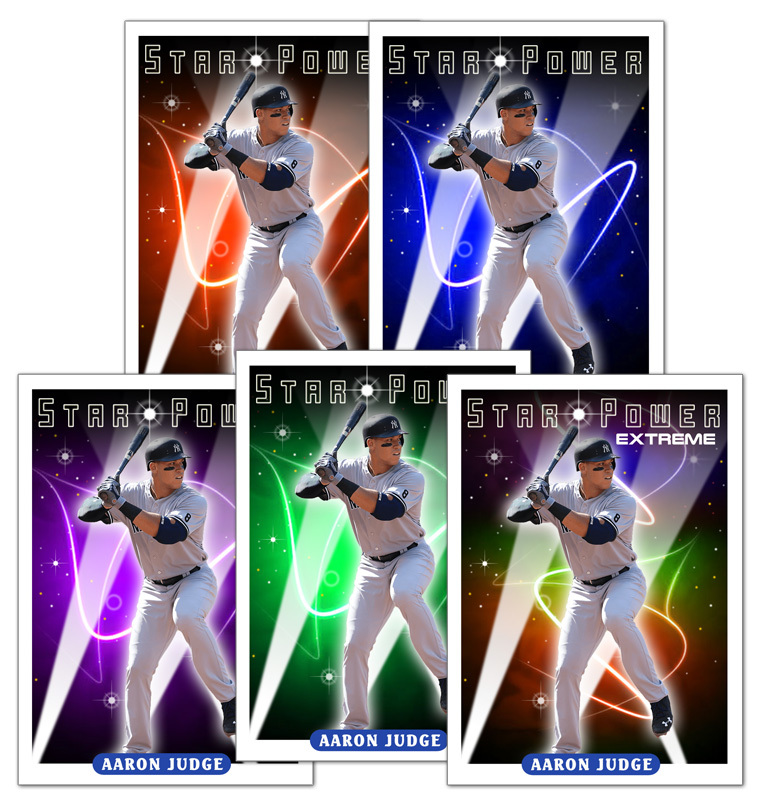 Since Aaron Judge is all the rage now, why not? I have fallen in love with the design and colors…especially the Extreme parallel. Might as well do the Captain, right? UPDATE: I’ve gotten this question a lot: “Rey SKYWALKER??? Do you know something I don’t?” The answer is … no. Just guessing 🙂 And thus, a new subset is born. NOW … this isn’t the only version of it I did. 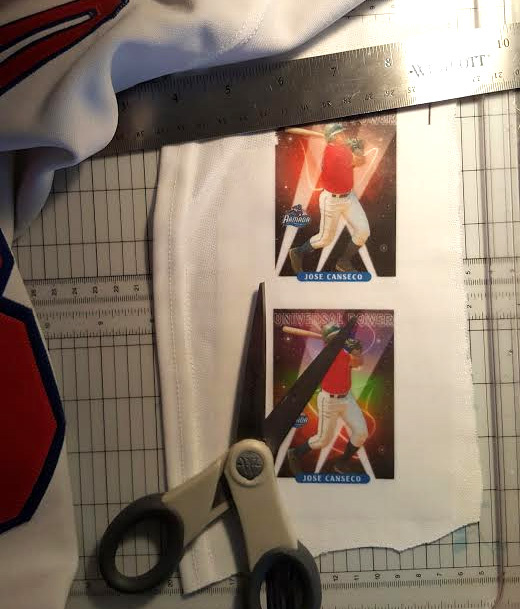 I also did something else … which brings us back to the whole reason for this article: What to do with alllll of that plain white jersey material. 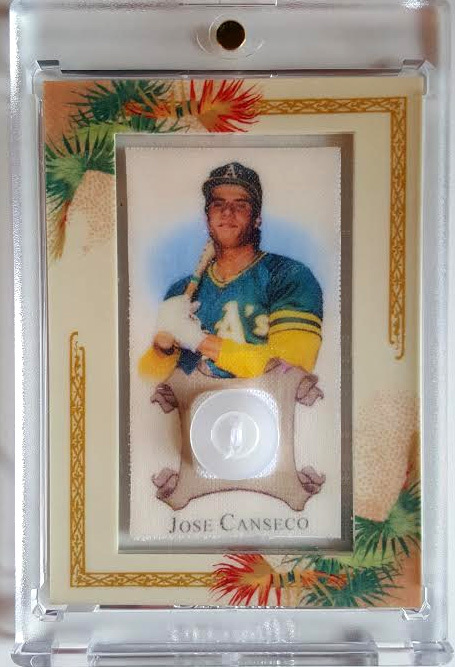 Yes, the card below is also made completely from a jersey Jose wore. I love the texture, as it isn’t just a plain glossy photo, but I love it so much more because it is from his jersey. Last, but not least, I wanted to do something more quirky that utilized a button. We’ve all seen cards with buttons embedded in them. 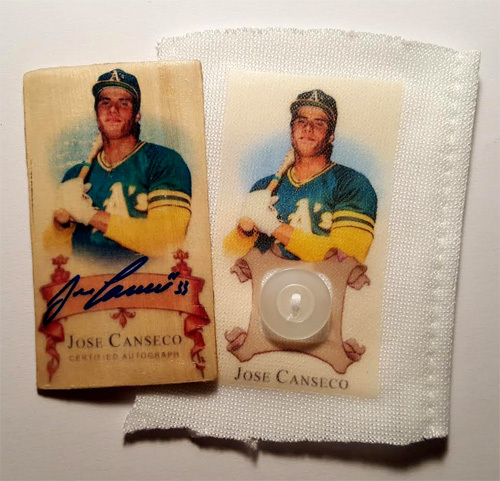 What if the card – that was entirely already a jersey – ALSO had a button? 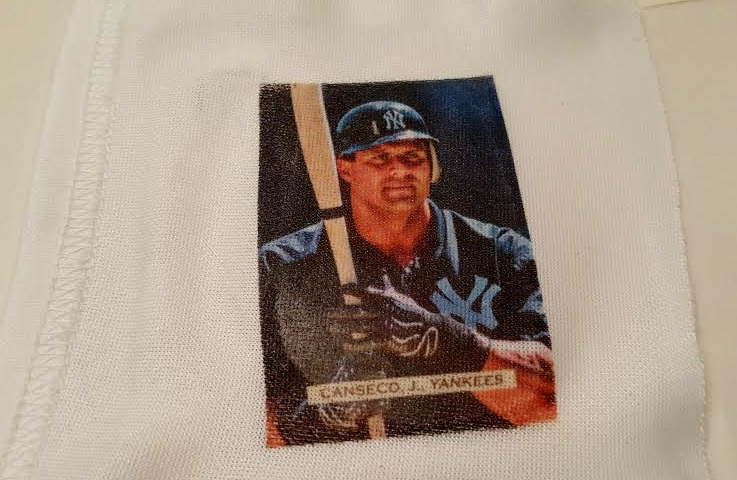 I figured it would be fitting to have a picture of the card I made out of his game used bat next to a card I’m making out of a jersey he wore! Finally, here it is, framed up in my favorite A&G frame eva! 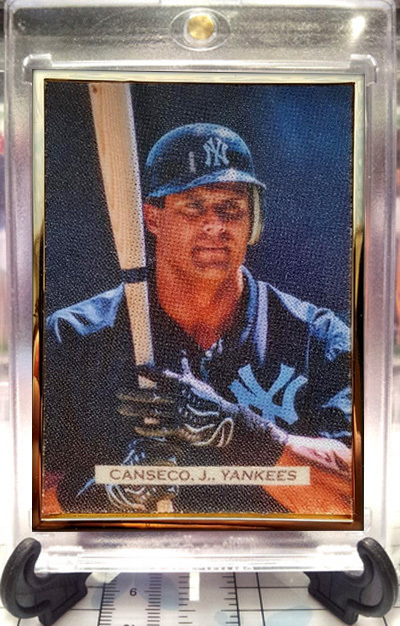 My wife and son are not sold on the Hawaiian looking frame, but I love it and think it goes well with the card … errr … the jersey … errr … the jersey card. Revolutionary ideas. 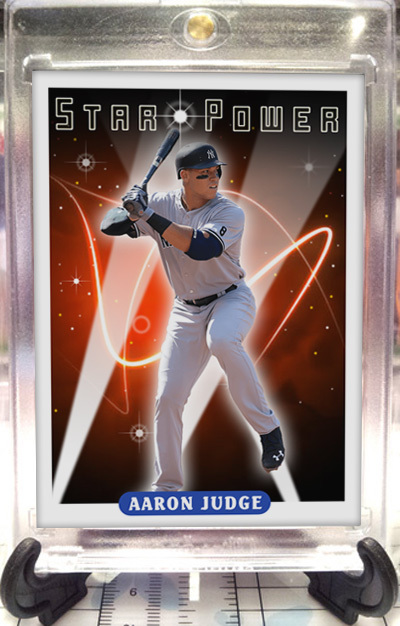 I think you took an idea that was good (jersey card)but just elevated it to a whole new level. This would have more meaning to collect. I think if collectors found out the care you took to make these- it would set the hobby on fire. 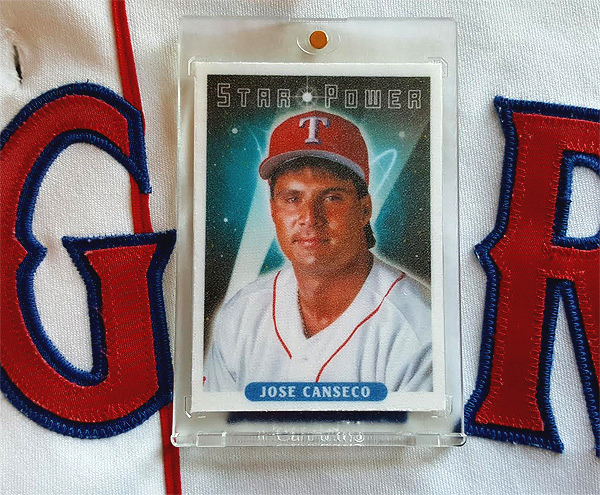 I got back into the hobby years ago because of jersey cards and bat relics. This was exciting to read and see. 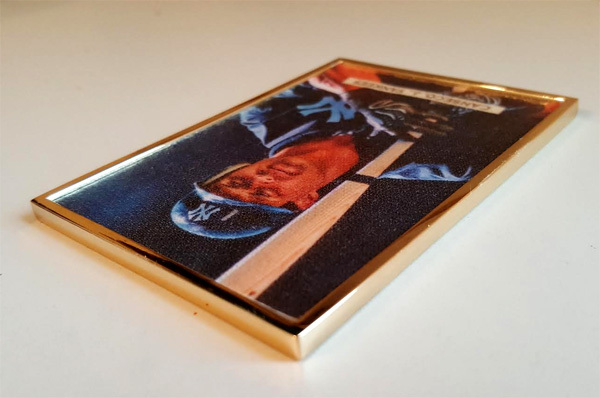 Btw- i like the a&g Hawaiian frame. Thanks for the kind words Gary! I’d be very happy if they made these.